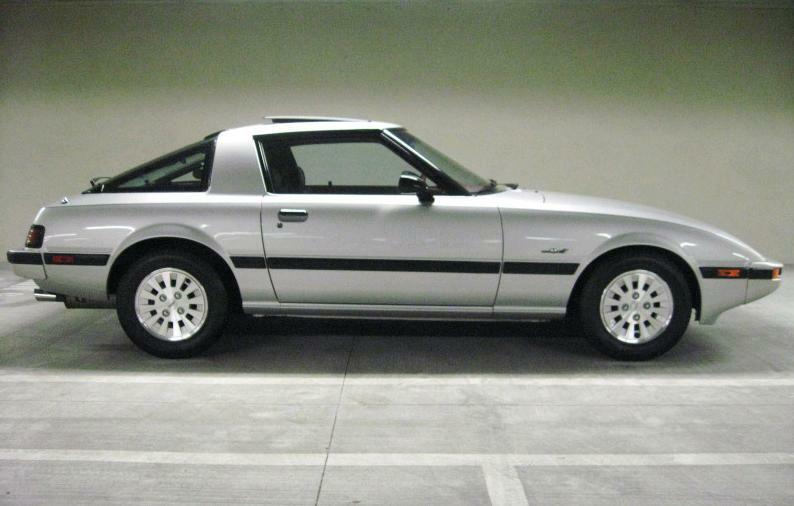 The RX-& GSL-SE is arguably the best of the first generation RX-7s. 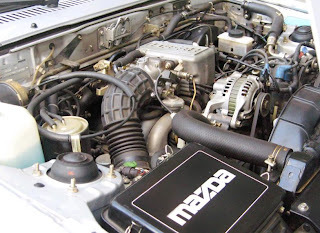 It came with the "13B" engine, which put out 135 horsepower, had larger disc brakes than the standard RX-7, stiffer springs and shocks and Pirelli P6 205/60/14 tires. (Those tires seem small and tall by today's standards, but they were state of the art back in 1984.) Car & Driver got the GSL-SE up to 60 MPH in 7.8 seconds. It came with all the amenities you would expect to find in a top-of-the-line Japanese sports car, including power windows, power mirrors, air condition and cruise control. 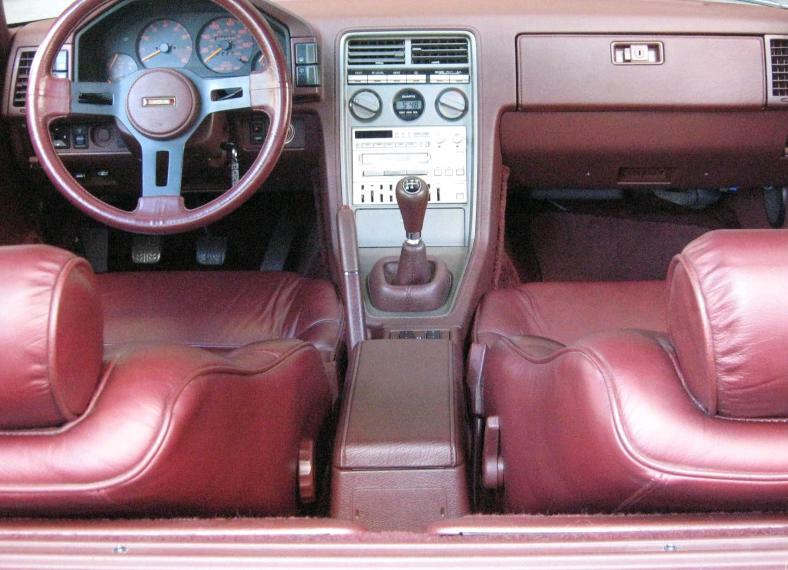 A leather interior and power steering were options. This is an amazing original example of an RX-7 GSL-GE. The color combination, silver over maroon, looks great on this RX-7. This car has just 30,500 miles on it. It's pretty close to looking like what a 1984 RX-7 looked like in 1984. It has few, if any, flaws. This is one of those cars that poses a real dilemma. It's an RX-7, so it's a car you'd want to drive. The rotary engine revs like crazy and the suspension and chassis make it slightly tail happy, but without being dangerous. On the other hand, it's a 30,000 mile, near-perfect, original RX-7. Driving it would put on more miles on it (obviously) and expose it to dents, dings, wear and tear. I guess the answer is to buy this one and set aside a few thousand dollars for another one. You can take this one to shows and for a few brief weekend drives and then drive the hell out of the second one. Located in Los Angeles, CA, click here to see the eBay listing. 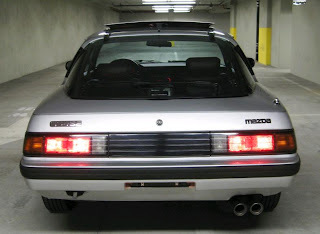 A big thanks to JaCG reader, Allen, for sending me the link to this car. WOW...That has to be the best 1st genertaion I have ever seen. Love seeing all original examples. Great example of originality. OG in the best sense. One of the cleanest I have seen. GLWS! Pzzzz, Pzzzzz. Well, I'll be darned. 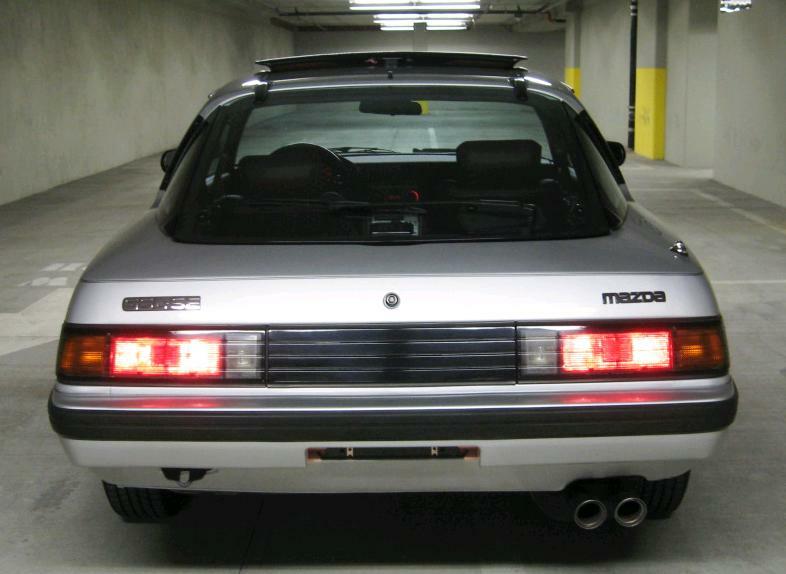 The seller discovered that this site listed his car, so he now includes a link to the post talking about his sweet ride. How nice of him. This dude has to have a time-machine! Wow that car is pristine. Brings back memories. A RX7GSLSE...has to be the most ridiculous name ever for a car. I had that exact car in 1984. Looked beautiful and faster than you can imagine. Had it for four months and it was stolen. Bad day.